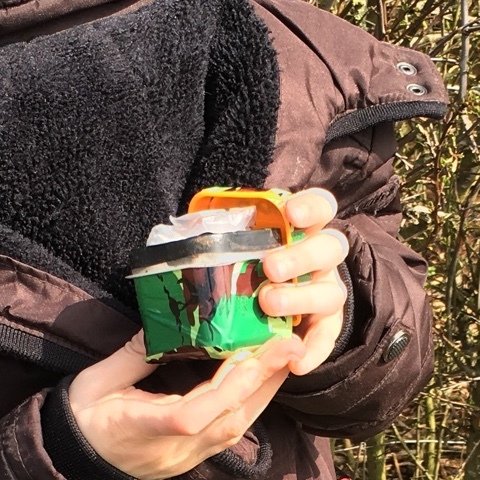 We finally got to Geocaching last week and because we went with our friends at Crafty cooks Northampton we actually found some and kind of know what we are doing! 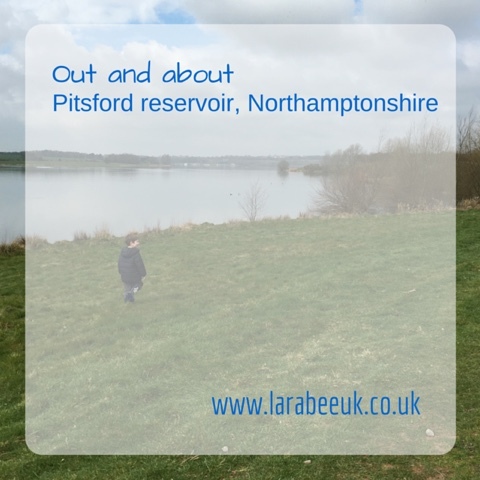 We decided to go to Pitsford Reservoir as there are loads there, in the hope that we'd find at least one. The weather started overcast but warm with threats of rain later in the day. We met early in the Northampton Road car park. There was no pay and display meter there when we visited but I believe that there usually is one. 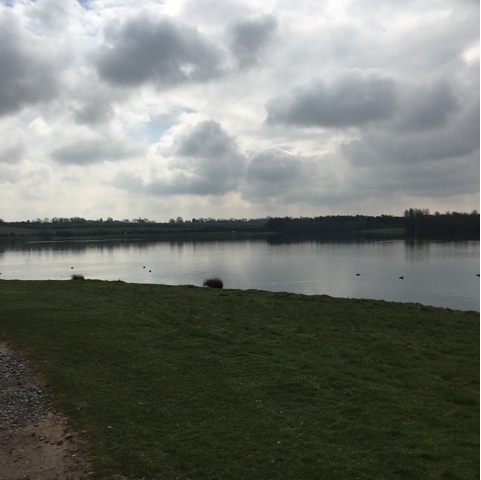 We set off around the reservoir which was perfectly still and beautiful. 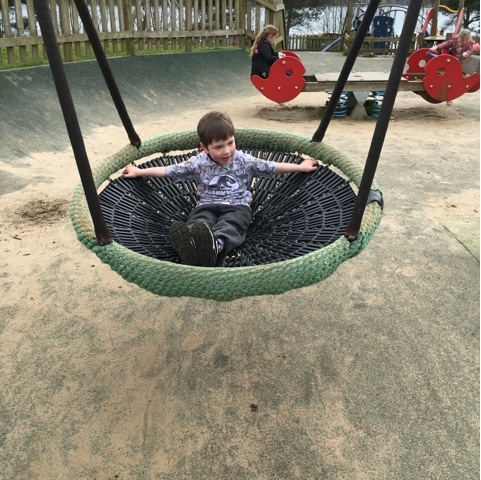 T of course, wanted to venture too near to the water, but there is a good distance between the paths and the water so he was safe. The paths are well kept and there were many people on bikes although I wouldn't fancy pushing a pushchair round so I think you'd be better off with a sling. 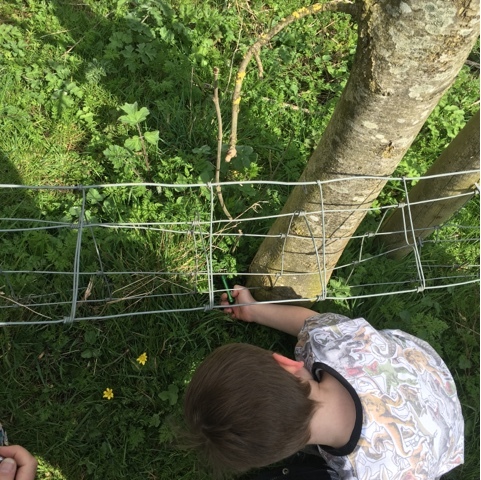 We managed to find 4 of the caches in the way round. 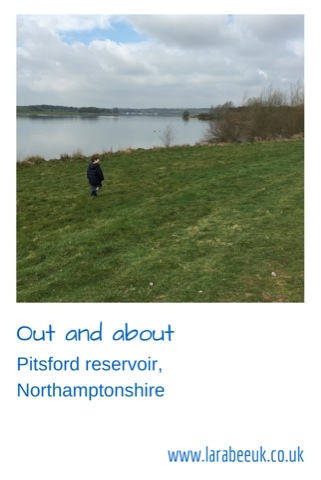 We were hoping to walk round to Brixworth Country Park but someone's 4 year old legs were struggling after 1 1/2 miles so we walked back to the cars. 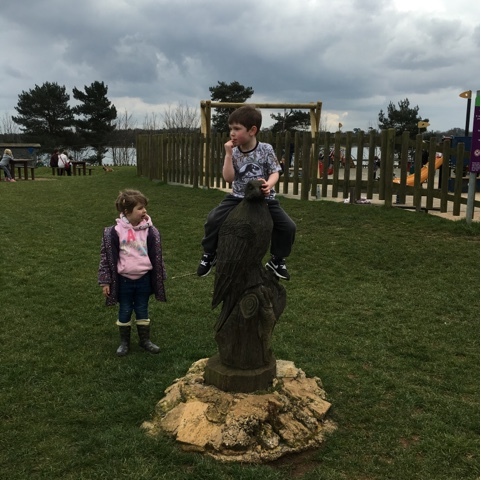 By the time we got back, the ice cream van was in the car park so we refuelled with ice cream and drove round to Brixworth country park for a picnic and play in the park. 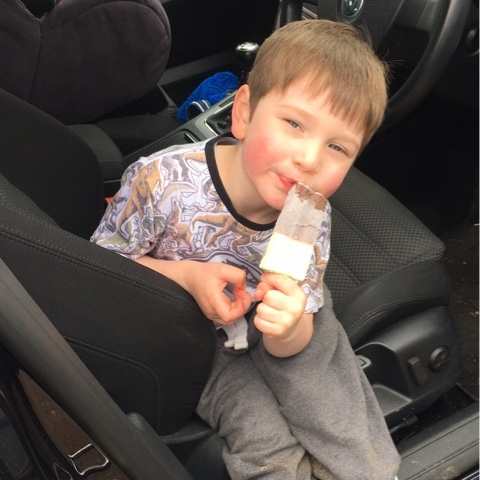 Parking is £3 for the day and non-transferrable between cars. 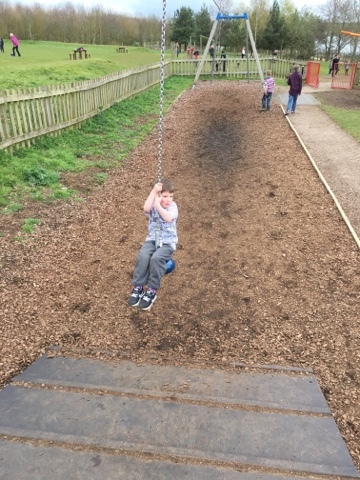 The park is very impressive with equipment for both smaller and older children. 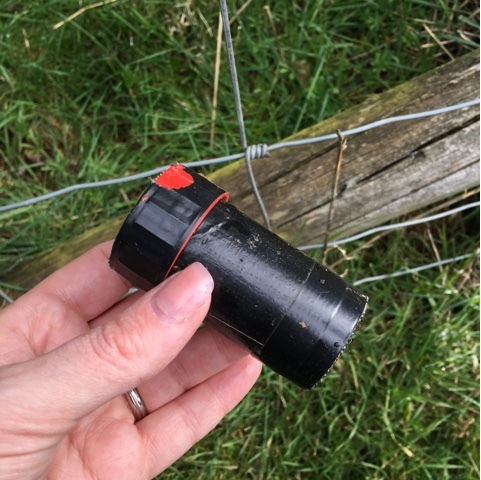 We had a fantastic 4 hours at the reservoir with the added bonus of a successful geocache too!